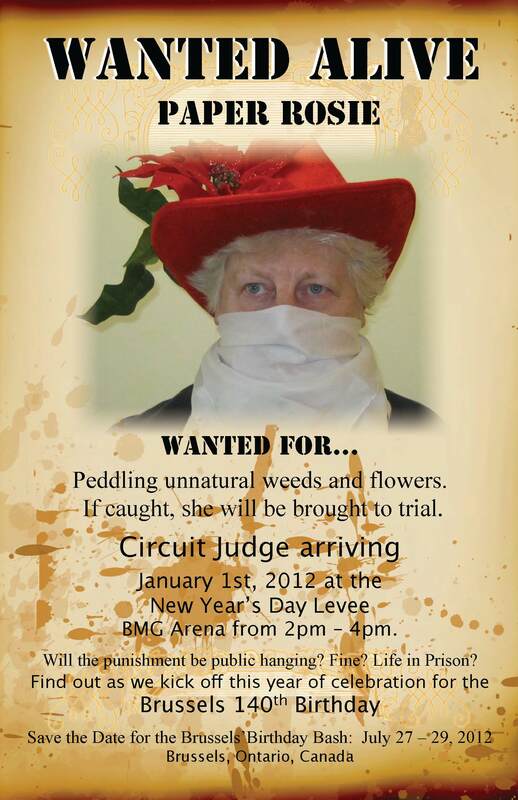 Watch out for these outlaws from Brussels. They could be living right in your community. 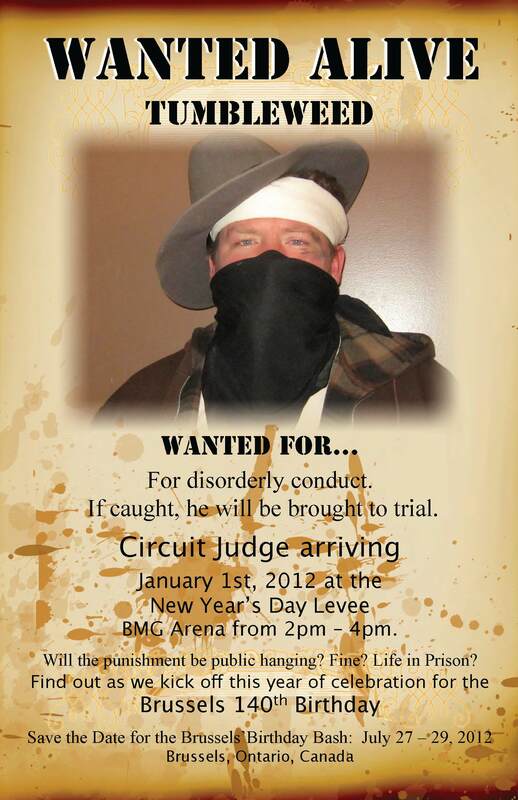 Better still…..attend “Circuit Court” at the New Year’s Levee on January 1st from 2:00 to 4:00 PM and find out their fate. 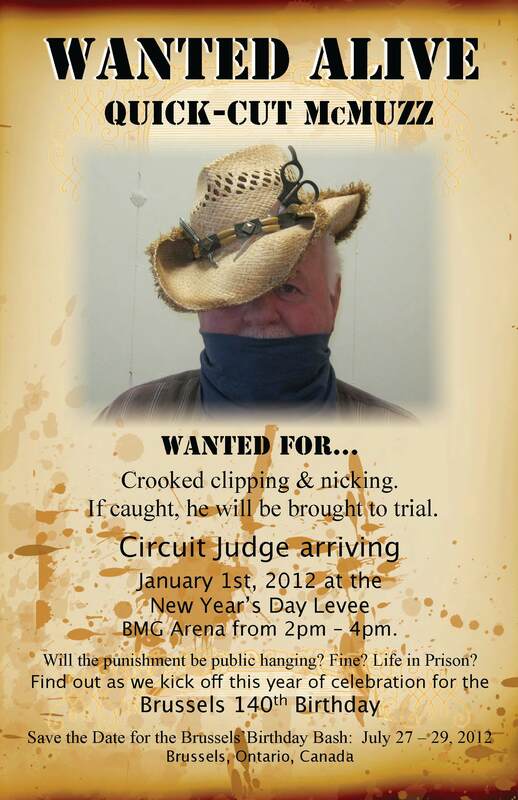 Admission by donation ~ Free Cowboy Grub ~ Free Skating ~ Entertainment. Online Pharmacy Mail Order buy atarax online. Anti-depressant|anti-anxiety. Gums New, Body-building, Anti-depressant. 7 days ago – where can i buy prozac online . free prescription prozac buy prozac online prozac cod saturday delivery fedex. Order prozac now! This entry was posted in Uncategorized on December 29, 2011 by Jan Hawley. Recognize any of these characters? You may be surprised, they could be living right in your own backyard…so keep an eye. 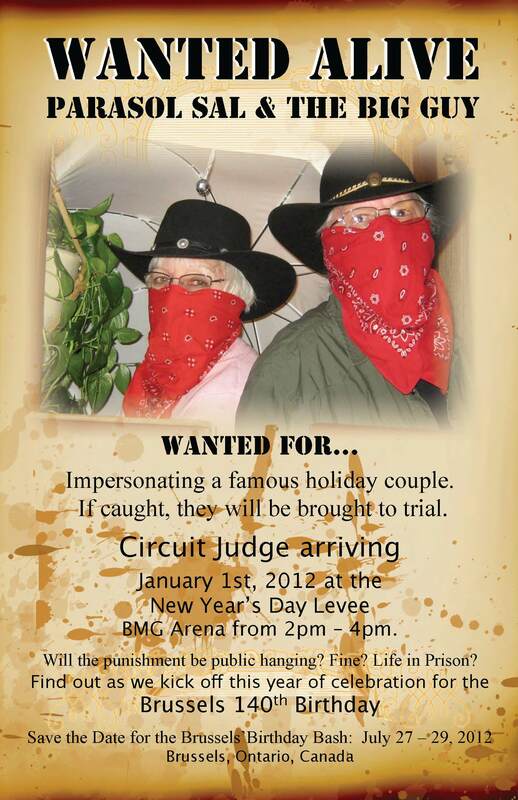 Better still, put on your best western gear and come out to the Village of Brussels, in the heart of Huron East in Huron County, on January 1st and witness their fate. 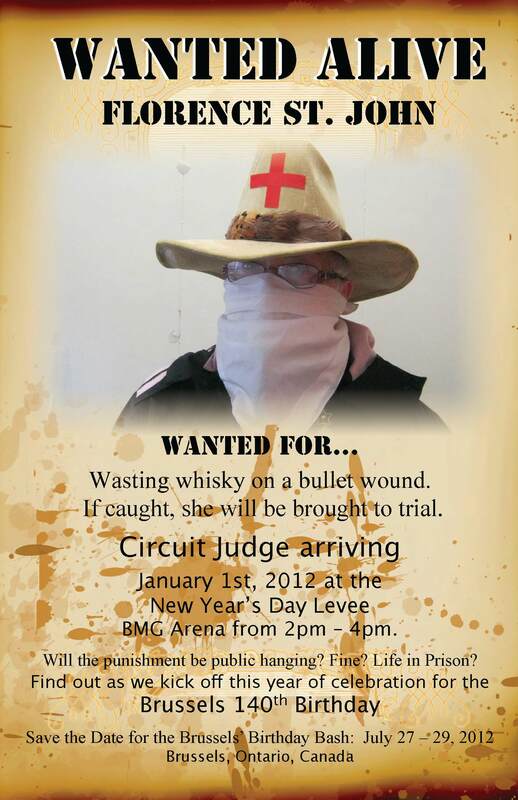 A well-known Circuit Judge will be holding court at the New Year’s Day Levee from 2:00 to 4:00 pm at the BMG Community Centre (Arena). 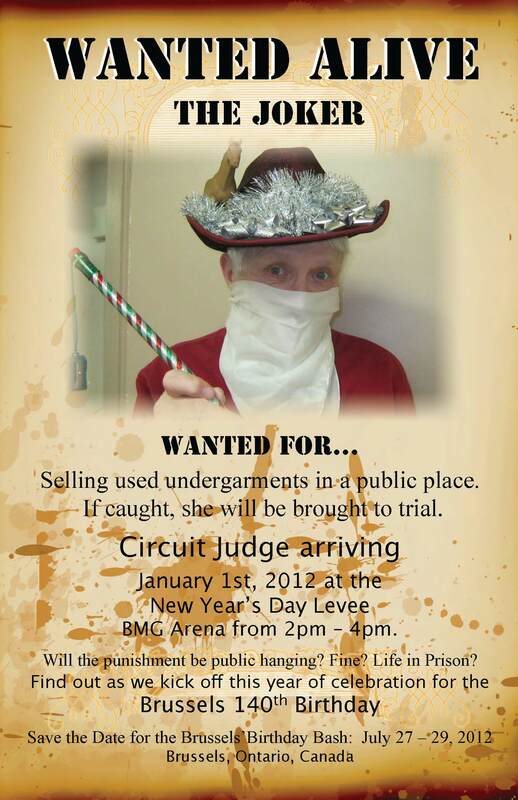 Word on the street is the Judge can be BRIBED! 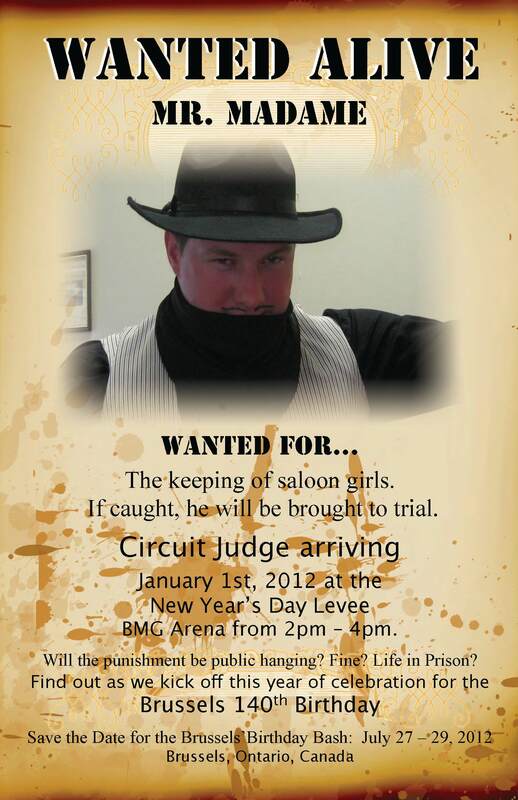 Admission by donation, FREE Cowboy Grub, entertainment, FREE skating & much more! Visit the Historic Village of Brussels where we’re putting a little WESTERN in Ontario’s West Coast. “It’s only a Country Road Away”. For more information, contact Jan Hawley at 519.527.0160 or jhawley@huroneast.com. Top Quality Medications. buy zoloft Uk. Official Drugstore, Zoloft Out Of Pocket Cost. This entry was posted in Uncategorized on December 27, 2011 by Jan Hawley. 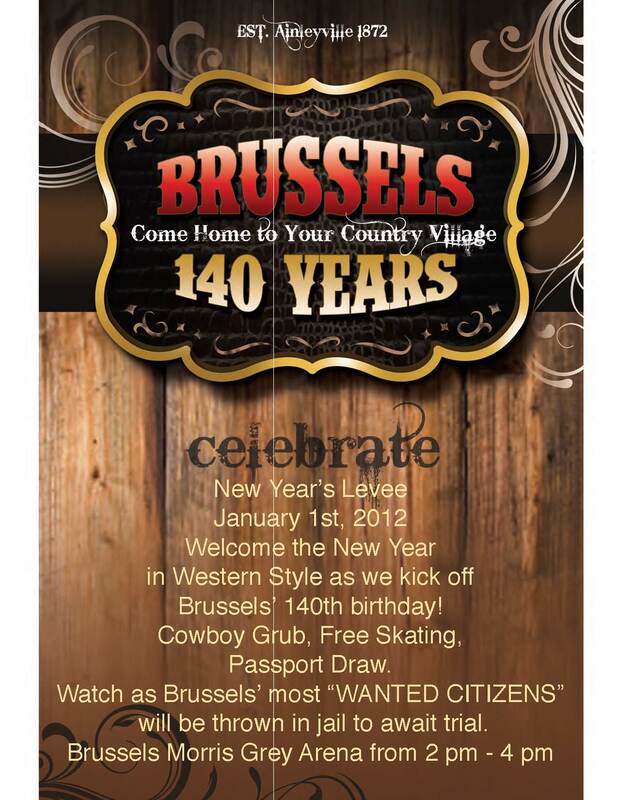 We’re kicking off Brussels’ 140th Birthday with a party and YOU’RE INVITED…..
January 1st, 2012 ~ 2:00 to 4:00 pm at the BMG Community Centre 800 Sports Drive Brussels Ontario. 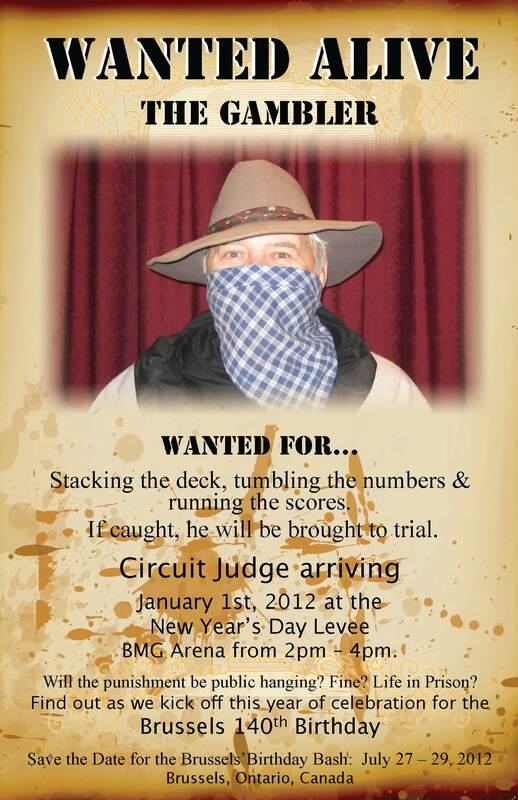 Jail and Bail….attend “Circuit Court” where Brussels’ “Ten Most Wanted Outlaws” will be tried for dubious crimes. Christmas in the Village Passport Draw to win an overnight Getaway to one of Ontario’s Finest Inns, Hotels, & Spas, round trip limousine ride by “Elite Limousine”, Spa treatment by Solace on Turnberry, Breakfast for two & Dinner Voucher. Check out details here. Keep an eye for “Brussels Ten Most Wanted”….they may be closer than you think! 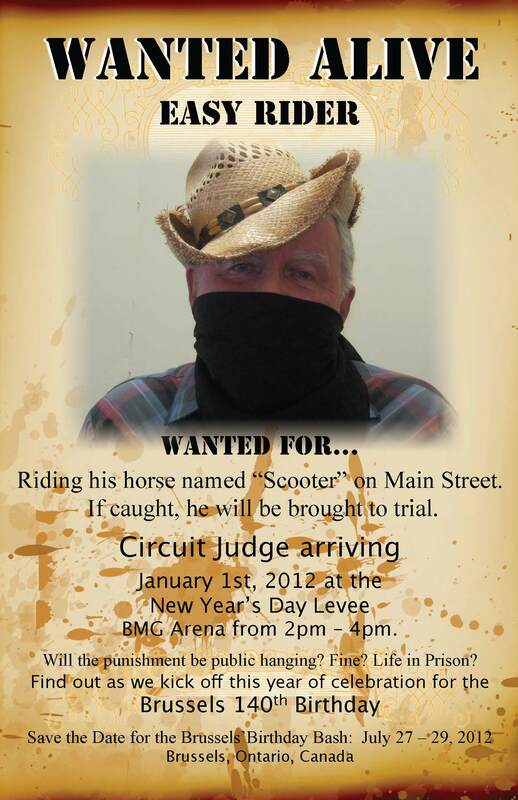 Watch for the Wanted Posters throughout the Village….a picture is worth a thousand words! 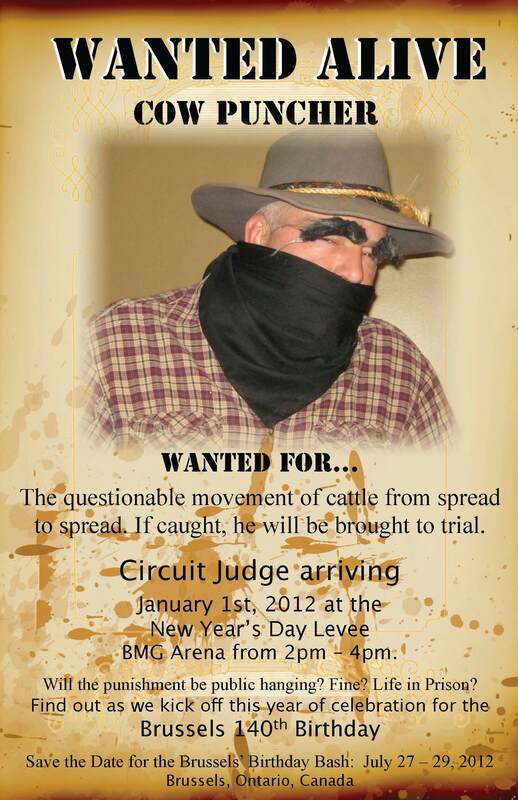 Call 519.527.0160 or 888.868.7513 or email turkey-run-ranch@hotmail.com or jhawley@huroneast.com for more details. Best Prices For All Customers! buy zoloft 50 Mg . Online Drugstore, Companies That Make Generic Zoloft. This entry was posted in Uncategorized on December 26, 2011 by Jan Hawley.